Do you like spy thrillers, but feel they lack culture? Do you ever wish your spy characters were skilled in music and art as well as clandestine intrigue and killing? It’s time to start reading Daniel Silva’s spy thrillers starring Gabriel Allon, master art restorer/forger and Israeli assassin/spy! 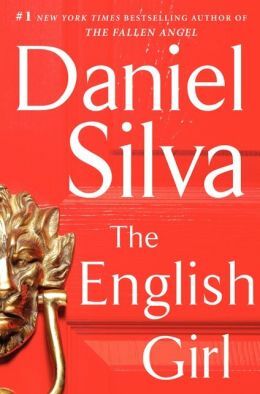 The English Girl is the 16th Gabriel Allon now, but Silva does a good job filling in key elements of the backstory in a few lines. This novel starts with a kidnapping for ransom, gets tangled up with the Corsican mafia, spends a while with a complicated secret identity scheme, and ends with a massive twist! The Russians get to be the “bad guys” in this one, giving it a very classic spy novel feel. The “spy” aspect of Daniel Silva’s writing- the classic tradecraft, political wrangling and double-crosses- brings to mind LeCarre, but with a little more killing and fewer tedious descriptions of blind drops and old men talking. The “thriller” side of his writing- the car chases, assassins, and twists- reminds me of Ludlum, with more reliance on fellow spies and more finessed kills. Gabriel Allon is a character of depth and experience. The recurring supporting cast in the stories is well drawn, especially Allon’s mentor Ari Shamron. After years of coaxing and scheming, it seems like Shamron might finally have talked Allon into becoming chief of “The Office.” Allon is getting older, and there are developments in his personal life that might keep him closer to home, so I can imagine that Silva might finally write him in to that role. However, I’m sure circumstances would require his presence on the field of operations often enough to keep things interesting. It doesn’t really matter if you’ve always wanted to read about an art restorer spy assassin or not. If you want to read a spy novel at all, you should be reading Daniel Silva’s books. He is one of the best- if not the best- out there. This entry was posted in Fiction and tagged assassin, book review, fiction, Israeli, spy, thriller. Bookmark the permalink.